The change house is new, construction 23500,00 UAH. 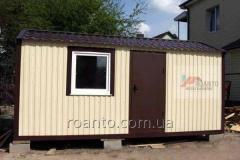 Unbelievable price on Assembled metal constructions in Kiev (Ukraine) company Roanto, PP. Wide choice of quality products at affordable prices.